If you asked me last year where I thought I'd be at the end of 2013, this would definitely not be it!! I never dreamed I'd be sharing my personal ups and downs on this blog. I never imagined I'd sign up, nonetheless finish a half marathon. Yup, 2013 has been a life changer. I went from never participating in any sort of running/obstacle races to running 6 races in one year. It's been an amazing journey and I couldn't have done it without the support from family and friends, especially those who came out and ran alongside me! I used to dread working out and therefore rarely (read: NEVER) did it. I only ate "healthy" if I was on a "diet" and let's be honest, fad diets aren't healthy. They don't last. Only a change in your lifestyle and your attitude is what makes the changes happen. The magic is in the commitment, not a pill. I found that change in me by signing up for all these races/events. Signing up for these events has kept me on track with my exercise routine and eating habits. It's given me a goal to reach and has made all the difference in my attitude towards working out and eating healthy. I can't wait to see what 2014 will bring! So far we're signed up for our second Tough Mudder in April and signing up for Blood, Sweat, and Beers 10K trail run in March. I really want to run a Ragnar Relay race and as soon as I learn to ride a bike (Yes, you read that right, I don't know how to ride a bike!!) I want to do a sprint triathalon. The Color Run 5K really introduced me to event racing. I had no idea what to expect, from the packet pickup to to the run itself, it was a great first experience! After Color Run, I did Tough Mudder! I'd trained hard and really got into fitness during this time. I've said it time and time again, Tough Mudder changed my life! 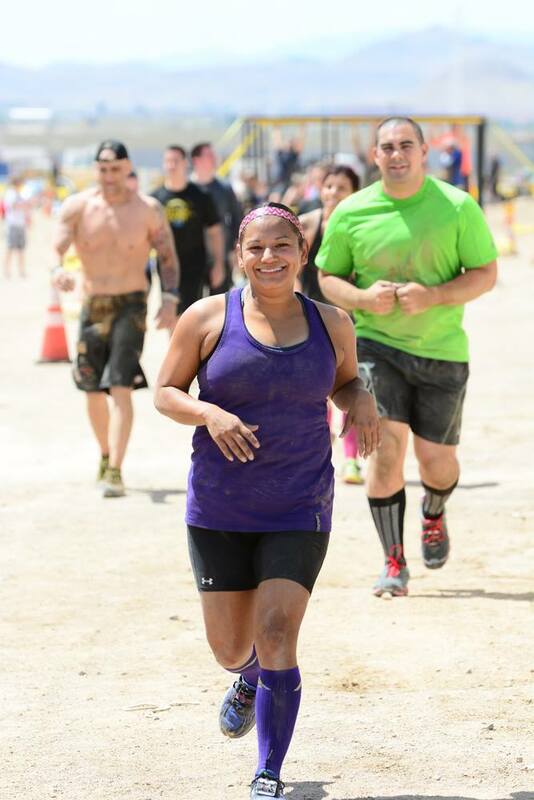 The obstacle course race bug hit me hard and in May, I was ready for more! This time, it was a family affair and my sister, Norma, joined me for the Badass Dash 7K. The kiddos also participated in their first kid OCR and loved it! Later in May, my sister and I, along with our friend, Veronica, did the Race for the Cure 5K with the LVAC team. This is a very important cause for us and our family and we were excited to have a part in raising awareness! As most of you know, summers in Vegas are HOT! So, summer was spent vacationing and having fun with the kids with our Summer Bucket List. Towards the end of summer, I began training for the Rock N Roll Half Marathon! I recently blogged about my first half marathon experience, if you missed it, you can check it out HERE! If you want the short version: It was by far one of the hardest and most amazing experiences I've had in my life! Six days after the half marathon, I joined some of my book club girls for the Dirty Dash 5K and my son did the 1 miles Piglet Plunge! What a way to end a super fun year of races! You can read my review of that race, HERE. Posted in Fitness and tagged with obstacle race, tough mudder las vegas, color run, badass dash, half marathon, race fo the cure, 5k, rock n roll las vegas, fitfam, fitfluential, healthy living. December 11, 2013 by Jessie Emeric.